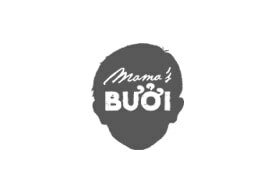 Mama’s Buoi creates a unique dining experience that allows diners to be adventurous, with an authentic yet modern menu that is designed to be shared. Inspired by Mama Hoang’s home cooking, the Mama’s Buoi concept encourages diners to ‘eat food like family’. The open kitchen will allow guests to watch the chefs prepare the home-style Vietnamese dishes that Mama’s Buoi has become renowned for, using fresh ingredients that are delivered to the restaurant daily. The restaurant’s terrace bar will serve a diverse drinks menu, offering everything from wine and beer to Mama’s Buoi specialties, including Vietnamese coffee, and delicious, exotic cocktails.